The city of Austin is one of the most populous of all of the cities in Texas and among the top 20 most highly populated cities in the United States. This exciting southern town is home to the Texas Memorial Museum, the Bob Bullock Texas State History Museum, and is renowned for its musical roots. Visitors and residents alike love to spend time in the Live Music Capital of the World. Luckily for anyone with a dental problem, Austin is also the home of a great selection of holistic dental offices to cater to any dental issue. The Emergencydentistsusa.com website is a great starting and finishing point for your search for a new holistic dentist in Austin. Our convenient website offers you a great selection of holistic dentists who are always available for a dental emergency or for your routine dental care. Just scroll through our hand-selected holistic dentists and click on the dental office with services that suit your needs. You will find great information like office hours, driving directions, and insurances accepted all in our comprehensive and easy-to-use format. When you need a little extra help choosing a great Austin holistic dentist, just call our 24-hour dentist finder hotline. Speak with a caring agent who is standing by to help you pick out a dental office, make your first appointment, and to give you driving directions that make finding that new office a breeze. Remember to bring your dental insurance card, photo ID, and any applicable copayment with you to visit your new dentist. Arrive 15 minutes early to fill out the new patient paperwork. The city of Austin presents visitors and residents with a great selection of holistic dental offices. Take a look at three of our top Austin holistic dentist choices by scrolling below. Description: From simple cleanings and examinations to comprehensive cosmetic dentistry, Dr. Rayne is a leader in holistic dental services. Porcelain crowns and veneers make your smile its very brightest, and mercury-free fillings provide safe tooth repair. Home whitening kits and traditional or holistic root canals are also available through Dr. Rayne. Description: Dr. Cole cares about your dental health and how your dental health affects all other parts of your whole body health. From cosmetic dentistry to brighten your smile to restorative dental care, Dr. Cole provides all of the dental health services in a single location. A kind office staff and a relaxing environment mean that you will look forward to your dental visits. Description: A full-service dental clinic with a philosophy that includes working toward the wellness of your entire body. Biocompatible materials and low radiation dental x-rays ensure that your holistic dental experience provides you with safe dental materials and practices. Mercury-free fillings and brilliant whitening services make your smile its very best. 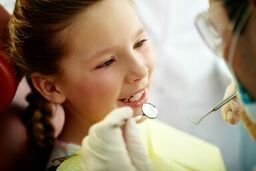 Selecting an Austin holistic dentist does not mean that you have to start from the beginning with your dental services. This type of change just means that you are taking control of your overall physical health by deciding what types of materials are used in your body. A holistic dentist provides things like mercury-free fillings and low radiation digital x-ray to protect your overall health. A holistic dental office provides all of the dental services that a regular general dentist provides with the added bonus of working toward your overall physical well being. When choosing a new Austin holistic dentist, or any new dentist, use the Texas Dental Association website to ensure that each dentist is properly licensed and credentialed. Just log onto the website and enter your dentist’s name in the search box. View current licensing and credentials right online. You can also find this information by visiting your new dental office prior to your first visit. Speak with the dental receptionist and remember to ask any questions that you might have for the dentist.